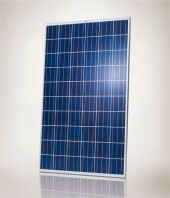 The multi-crystalline Q.PRO-G2 solar module is our classic solution for private rooftop systems. Anti PID Technology (APT) reliably prevents power loss resulting from unwanted leakage currents (potential-induced degradation)1. Hot-Spot Protect (HSP) prevents yield losses and reliably protects against module fire. Q CELLS solar modules forgery proof. Improved energy yield: The actual output of all Q CELLS solar modules is up to 5 Wp higher than the nominal power thanks to positive sorting. VDE Quality Tested guarantees highest reliability due to most comprehensive, third-party controlled quality programm on the market. Tested to weather any storm due to for wind- / snow load testing up to 5,400 Pa (in accordance with IEC 61215). Guaranteed performance with a 25 year linear performance warranty and 10 year product warranty2. 2 In accordance in with the Hanwha Q CELLS sales organization of your respective country.